Get the Protimeter HygroMaster 2, Surveymaster, and Hammer Probe together in a durable ABS case. 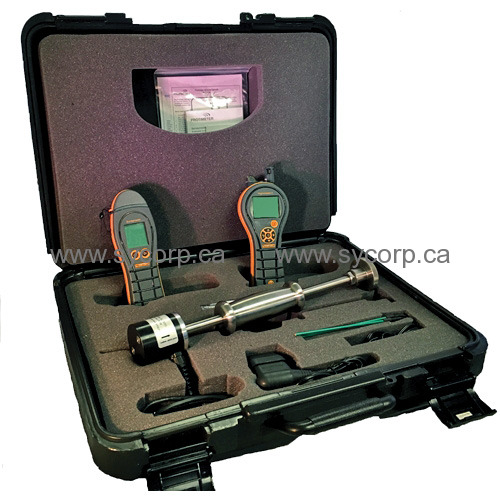 This compact and user-friendly kit equips the technician with everything needed to read ambient conditions and measure moisture content of materials. Pre-cut foam inserts protect and organize tools for ready access, and locking tabs keep contents secure. Detect moisture structural materials like sub floors and framing to a depth of 1.38 in. (35 mm). Hard plastic case organizes and protects your sensitive moisture detection tools. Snap-lock fittings secure the contents during transporation and storage. Sturdy pre-cut foam inserts hold instruments and accessories firmly in place.